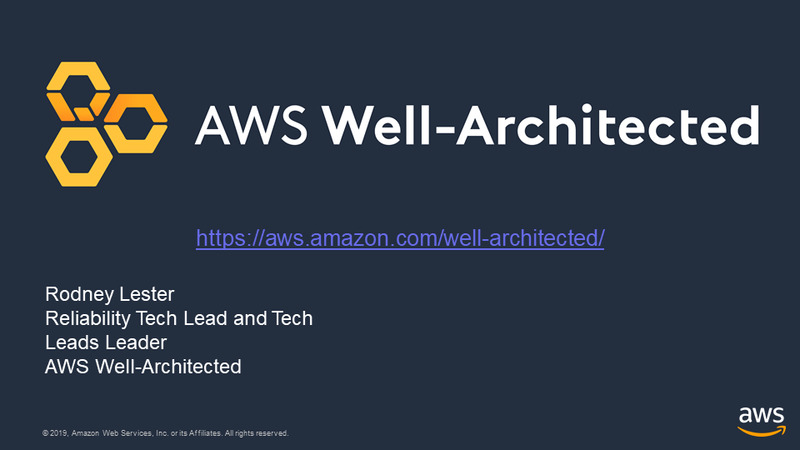 Learn about the architectural best practice guidance available to you via the AWS Well-Architected Tool and Framework. Hear success stories from AWS customers and APN partners, and learn how to improve workload design using Well-Architected concepts across the five architectural pillars of operational excellence, security, reliability, performance efficiency, and cost optimization. This tech talk highlights use cases, and provides an overview of the new AWS Well-Architected Tool, now available in the AWS management console.